What is LOVE, Dr. Cookerly? 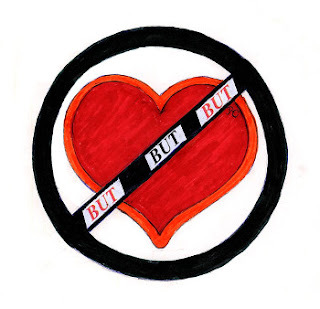 : No BUTs - A Big Important Little Love Skill ! One of over 200 FREE Mini Love Lessons Touching the Lives of Thousands in over 190 Countries – Worldwide! Synopsis: The subtle and both conscious and subconscious, negative effect of the word BUT on love relationships is examined and a simple, effective cure is described and heartily recommended. Does the word BUT have an anti-love effect? Suppose, in nice tones of voice, you hear the words “I love you so much – BUT…”. Would you feel loved? Would you start to feel loved but loose that feeling as soon as you heard the word BUT. Would your feeling change to a bit of disappointment, apprehension, rejection, let down, on guard, defensiveness, anger or what? Would you end up with any good feeling? If there was a good feeling, would it be lessened because of the word BUT. Your feelings might be affected by whatever came after the word BUT and also how you feel about the person saying it – their voice tones, facial expressions, etc. when they said it. Are you and those you love among the many people who just upon hearing the word BUT experience a small, quick, negative reaction? Now think about these comments. You are wonderful BUT… You did a good job on that BUT… I’m really sorry I hurt your feelings BUT… I could be wrong BUT… I possibly can use that advise BUT… Of course you’re really important to me BUT… What happens inside you with each of those sentence beginnings? What do you suppose happens inside the people you love if they hear those words or anything like them coming from you? Does BUT Have Different Psychological and Dictionary Meanings? All words can have different psychological and dictionary-type meanings. Sometimes in fact those two can be exactly the opposite of each other. Remember when the fad was to say “you’re so bad” and it meant exactly the opposite. In many situations the psychological or connotative meaning is much more important than the dictionary meaning. This seems to be the case with the word BUT. Especially may this true in personal relationships and even more so in various kinds of love relationships. What Does Neurolinguistic Psychology Have To Do with It? Guess what happens when most people hear the word BUT. We can hook up people to various types of brain reaction measuring devices. These devices can tell us whether you are having a little bit of a positive or a little bit of a negative brain (emotional) reaction, consciously and/or subconsciously, when you hear a word. When many people hear the word BUT, their reaction is predominantly negative. It is sort of neutral for some others. It hardly ever is a positive or good feeling for anyone. Sometimes there only is curiosity but that is about as good as it gets. The word BUT gets a lot of different interpretations. Hardly any of them could be called good. For some people, hearing the word BUT means they are about to hear something they don’t want to hear so they emotionally withdraw a bit and get defensive. Others interpret that they are not really being heard or understood. If a positive statement was followed with the word BUT plus something less positive, they interpret the positive part as a lie, or deception or an effort at manipulation. None of that is likely to be helpful in a love relationship. Are You Canceling the Positive? Imagine you say something positive to a loved one like maybe a statement that praises or compliments them, and then you add the word BUT followed by something not so positive. It is likely you just canceled whatever good your positive praise or compliment might have done. Even if your loved one does not consciously see it that way, they may subconsciously. The evidence seems to point to the idea that the word BUT has been coupled with unpleasant experiences so often in the lives of so many that just all by itself it provides a negative experience. There are okay uses of the word but. Mostly that seems to occur in very impersonal interactions. As soon as there is a personal relationship component, using the word BUT probably is working against you and is self sabotaging. The cure is quite simple to understand and a little harder to implement. To understand the cure, first read these two statements. (1) “Yes, I love you BUT can we talk about that right now? “Yes, I love you AND can we talk about that right now? For most people, the first sentence means something like “I don’t want to talk about it right now”. Also the words “I love you” seem to be somewhat insincere or of uncertain importance. The second sentence usually is interpreted more like “I do want to talk about our love and now is a desirable time”. The words “I love you” are seen as more sincere and the emotional tone is generally positive. The word AND is psychosocially additive in its usual effect while the word BUT is psychosocially subtractive even though it’s dictionary meaning is not. Therefore, the cure is accomplished by just replacing your use of BUT with the word AND every chance you get . Then see what happens. Talking additively as opposed to subtractively, or even neutrally, usually helps people feel more positive toward you. And that is especially thought to be constructive in all kinds of love relationships. In addition, you yourself may feel an internal, positive shift by substituting AND for BUT. The hard part is making it a new habit replacing an old habit. That may take some work and it will be worth it. With this word replacement, you will not be canceling, or sabotaging, or in effect torpedoing your main love messages. That is because there is some evidence that shows people who talk with AND instead of BUT get heard quite a bit better, cooperated with more, and also probably are liked more and loved better. Also AND’s and BUT’s seem to have cumulative effects. In relationships, although subtle, there are constructive and destructive impacts. Apparently they can add up over time (both with positives for AND or negatives with BUT). Therefore, we suggest this little love-skill may be a lot more important to the success of a love relationship than might at first be recognized. Using AND instead of the word BUT may seem like a too small of a thing to pay attention to. Let me suggest it is best to come from the position that all love skills are worth learning and practicing. Ovid was right, for love to be lasting it takes skills. Also remember that while love-feeling is automatically natural, love-relating takes a learned set of skills. Talking over this mini-love-lesson and its main message with others is likely to implant it in your own head better. So, who might you do that with rather soon? 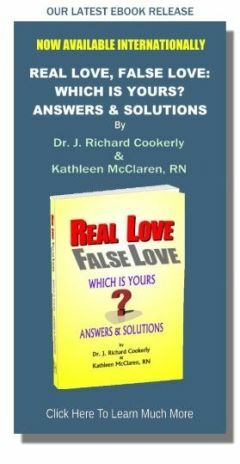 ♥ Love Success Question: Do you agree or disagree with the idea that when you are talking with someone you love, each and every one of your words has a love positive or love negative effect?